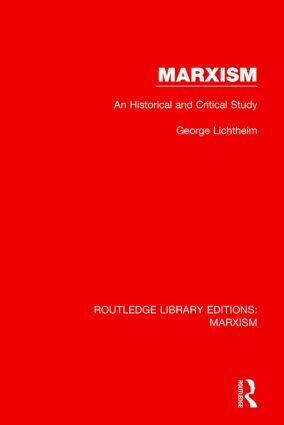 This book, first published in 1961 and revised in 1964, is both a critical study of a body of thought and an historical account of how Marxist theory arose from the context of European history in the 19th century. It traces the development of socialist thought from the French to the Russian Revolutions and attempts to show in what manner the political and intellectual problems of Central Europe between 1848 and 1948 came to dominate the theory and practice of that Marxist movement which formed the crucial link between the two revolutions. The author takes the view that Marxism is a movement and a body of doctrine which belongs essentially to the 19th century, which came to an end with the First World War and the Russian Revolution, and that its impact as a doctrine has now been absorbed.